This unique plant makes a great center-piece or lovely hoiday gift. 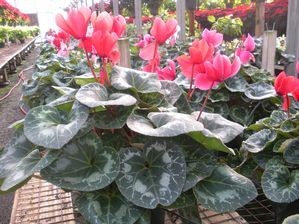 The cyclamen comes in a variety of colors including bright red, white, hot pink, lavender, and several shades of lighter pink. 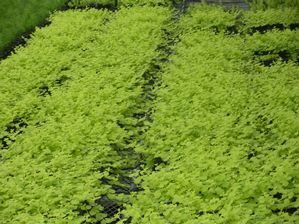 Welcome to Williams Plant Farm! 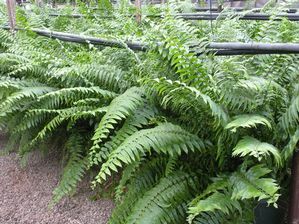 Here at Williams Plant Farm, we are dedicated to providing our customers with the highest quality plants and service at competetive prices. 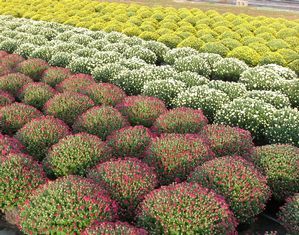 Our wholesale family operation has served garden centers, florists and landscape companies for the last 39 years. 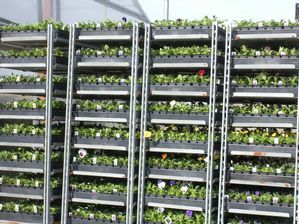 We are open to the public and offer to churches our premium holiday crops.